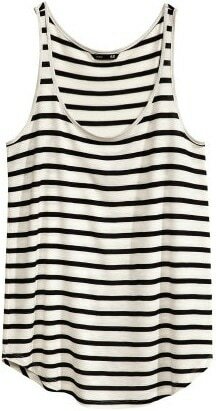 One of my must-have wardrobe staples is a striped tank top. It’s such a versatile piece to own, since it can be worn on its own during the peak of summer, then layered under sweaters and jackets once cooler weather hits. Plus, who doesn’t love a good stripe? So, for this week’s Fabulous Find, I found a classic black-and-white striped tank from H&M that’s a totally budget-friendly buy. At just under $10, this inexpensive tank can be worn a multitude of ways, making it well worth every penny. 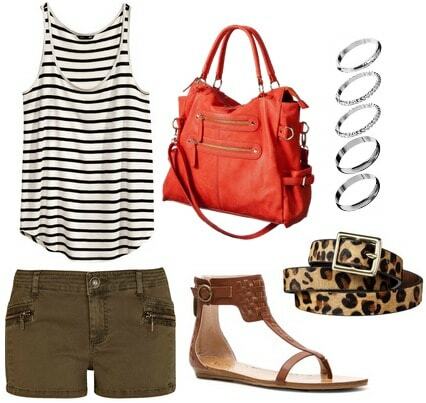 Create a chic, utilitarian vibe by pairing this tank with some khaki-colored cargo shorts. Sandals keep thing summer-appropriate, while a leopard belt adds a fun touch. 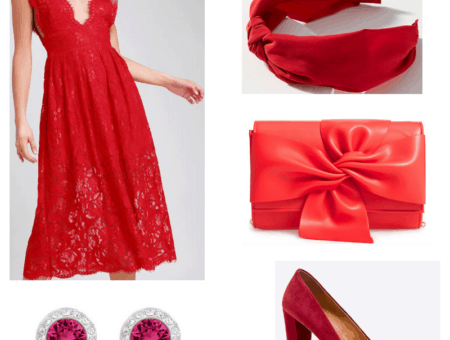 Grab a bright coral purse for a bold pop of color, then accessorize with several delicate silver rings to complete this look. Mixing prints instantly creates a fashion-forward feel, so for this next ensemble, pair our Fab Find with a colorful abstract print skirt. (If you don’t own one, a floral skirt would also look amazing!) Neutral flats dress down the look a bit, while a bird-shaped necklace is a cute touch. As far as accessories go, choose ones that pick up on the colors found on the skirt. In this case, a neon yellow clutch and mint bracelet are chic additions to this outfit. Once fall arrives, use this Fab Find to layer, layer, layer. In this case, the tank is styled with a lightweight and slouchy sweater. Deep red skinny jeans continue the autumnal vibe, as do these heeled ankle booties. 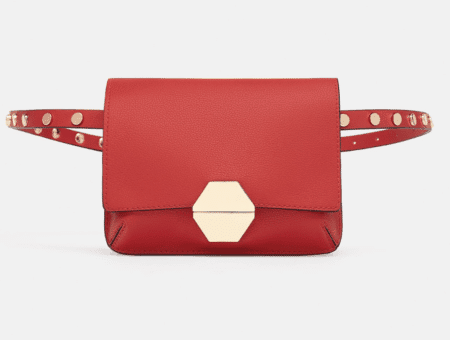 This studded cross-body bag adds a little edge, while mismatched earrings add interest. What do you think of this week’s Fabulous Find? Would you buy this H&M tank? Which look is your favorite? How would you wear this tank top? Remember to leave a comment below and tell us what you think!